"America made a commitment and as an American if the government's not going to do it we all have responsibility. I'm able to do it." Former New York City Mayor Michael Bloomberg has vowed to write a $4.5 million check to the United Nations body that oversees climate change negotiations to make up the shortfall in the agency's budget caused by U.S. funding cuts. President Donald Trump last year formally announced the U.S. would pull out of the Paris climate accord deal, stating that it was not fair. Congress also cut funding for the Bonn, Germany-based UNFCCC from $7.5 million in previous years to $3 million this year. "America made a commitment and as an American if the government's not going to do it we all have responsibility. I'm able to do it,” Bloomberg told CBS News' "Face the Nation" on Sunday. “So, yes, I'm going to send them a check for the monies that America had promised to the organization as though they got it from the federal government." 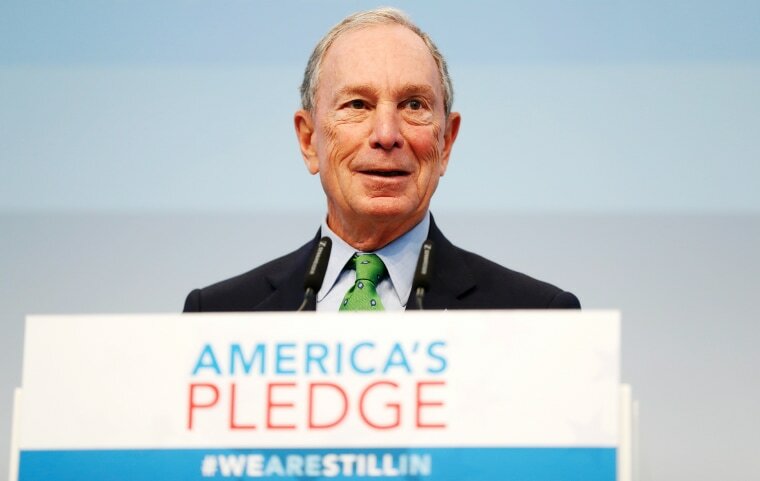 Bloomberg has long championed the fight against global warming. “America is part of the problem. America is a big part of the solution and we should go in and help the world stop a potential disaster," Bloomberg added. Bloomberg's charitable foundation linked the donation to the billionaire philanthropist's effort, with California Gov. Jerry Brown, to show that the United States remains committed to the Paris climate accord despite Trump's plan to withdraw from the agreement.